This week's arrivals include 2 new games and a new game expansion. 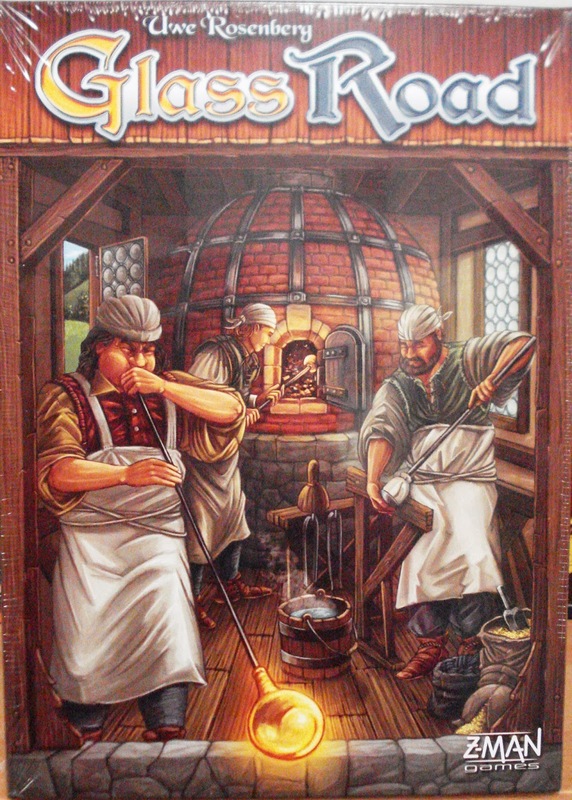 New from Z-Man Games and board game designer Uwe Rosenberg is Glass Road. The Glass Road is a 150-mile long path through the Bavarian Forest near the border to the Czech Republic. Today, the Glass Road connects museums, historical glassworks, and various landmarks related to glass taking you on a journey through the history of glass production. Glass Road leads players into the Bavarian Forest of the 18th century. The game consists of 4 building periods. With 2 production wheels at your disposal, you will be tasked with the production of glass and bricks, as well as managing other resources. You will need to develop your own landscape and build a variety of buildings that will give you benefits. Only the value of your buildings will determine your final score and whether you will win the game or not. At the heart of the game is your set of 15 specialists, of which you will only use 5 during each of the game's building periods. But it is not as simple as that, for your opponents also have access to the same specialist cards, and if one of them plays a card you've chosen, your options will be reduced drastically. In this game about glass making, flexibility will be your best asset to seize victory. 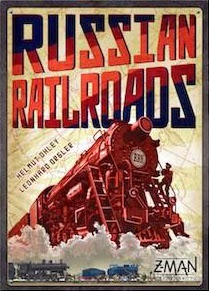 Also new from Z-Man Games is Russian Railroads, a heavy-duty strategy game with a lot going on. Russian Railroads is about racing to build the largest and most advanced railway network - the Trans-Siberian Railway and 2 additional railways. Players will appoint their workers to various important tasks. The development of simple tracks will quickly bring players to important places, while modernization of their railway network will improve the efficiency of their machinery. Newer locomotives cover greater distances and factories churn out improved technology. Engineers, when used effectively, can be the extra boost that an empire needs to race past the competition. There are many paths to victory. 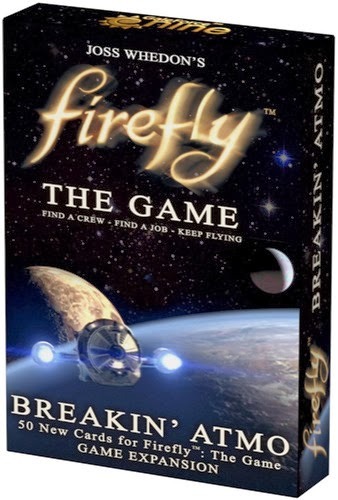 Adding more excitement to the 'Verse in Firefly The Game is this first booster pack, Breakin' Atmo. This booster pack brings new challenging jobs, shiny new gear, and helpful crew - 50 cards in all. Breakin' Atmo gear introduces some new game abilities and potential combinations. Continue to Tune in for the latest in board games! Come and visit us at 30 NW 2nd Street in Historic Downtown Gresham. 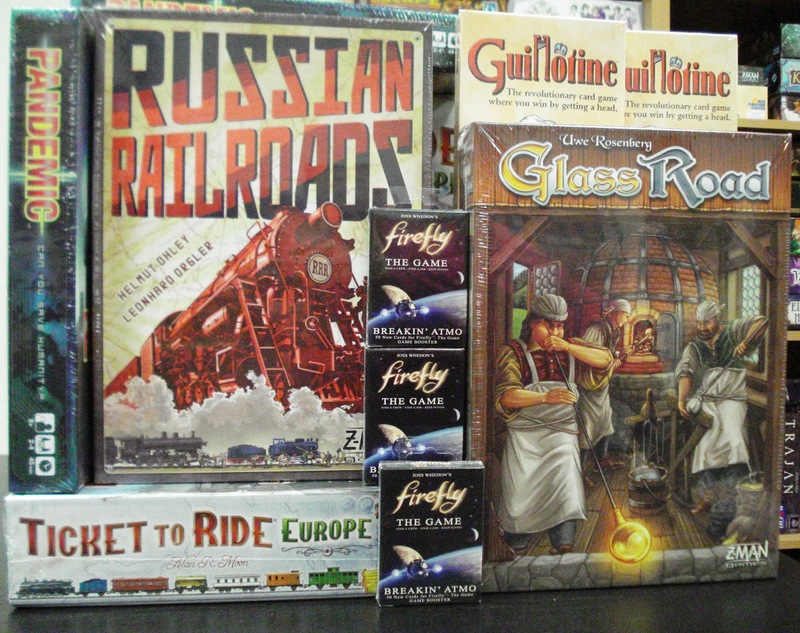 We have a full range of family games, strategy games, Euro-style games, war games, card games, dice games and more. Also for the puzzle enthusiasts we carry quality puzzles from Ravensburger, Cobble Hill, and White Mountain.